Compassionate care makes all the difference. Call for an appointment today. All animal companions deserves compassionate veterinary care. 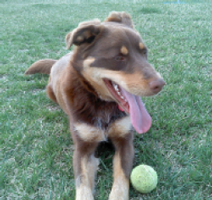 Learn what services we provide for your animal companion today. Make an appointment today. 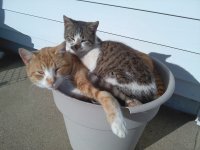 We are dedicated to providing the care your pet needs throughout their life. Animal Emergency? Read no further and call us right away! 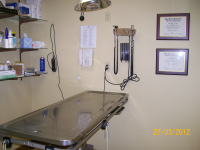 The Akron Veterinary Clinic is located in downtown Akron, Iowa. Our service area primarily encompasses Plymouth County, IA, and Union County, SD, but we have clients from Akron, Westfield, Chatsworth, Hawarden, Elk Point, Jefferson, Alcester, Vermillion, Sioux City and the surrounding area. We provide care for small and large animals including preventative care, medicine, and surgery, in a friendly, small-town atmosphere. We aim to provide quality care to keep your animals happy and healthy at an economical cost. Some of the services we provide for small animals include routine vaccinations, rabies vaccinations, heartworm testing and prevention, spays, neuters, declawing, dental cleaning, humane society check-ups, boarding, grooming of small to medium size dogs and cats, blood chemistry analysis, sick animal examinations, various surgical procedures, flea and tick prevention, Home Again microchipping, euthanasia, and cremation. We handle a wide variety of products for your pets including Hills Science Diet and Prescription Diet foods, leashes and collars, Frontline and Vectra flea and tick products as well as NexGard and Bravecto chewable flea and tick products, shampoos, pressed rawhide bones, and a wide variety of medications. We also provide a vast array of large animal services for cattle, horses, sheep, goats, pigs, and other large animals. 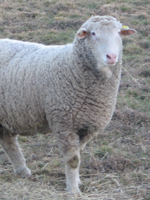 These include vaccinations, Green Tag and Gold Tag preconditioning programs, pregnancy diagnosis, fertility testing of bulls and rams, dehorning, castration, parasite prevention and treatment, birthing assistance, prolapse repair, diagnosis and treatment of disease, health certificates, implanting, and general surgery. We carry a large selection of products for these animals as well, such as ear tags, dewormers, antibiotics, vaccines, electrolytes, colostrums supplements, syringes, boots, disinfectants, and many others. If we do not handle the product you are looking for on our shelves, we can often order it for you from one of our suppliers. 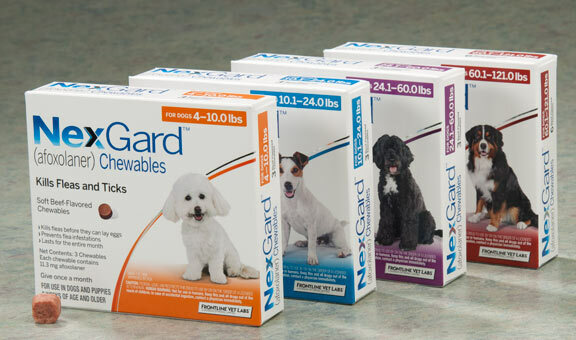 We now carry NexGard and Bravecto chewable flea and tick control! Dr. Jeff Van't Hof has been at the Akron Veterinary Clinic since 1998, and has been an owner since 2000. He received his Animal Science degree from Iowa State University in 1988 and worked for several years in the food animal nutrition industry before returning to Iowa State for veterinary school. Dr. Van't Hof received his DVM in 1996 and has been practicing in the area since then, working in general mixed practice. 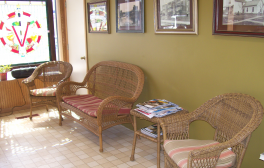 He enjoys hunting, fishing, and home improvement when not busy at the clinic. "Let me tell you my opinion on Akron vet! Not only do they meet your needs with your animals but they take the time to really explain what's going on. I also lost my boxer and Dr really tried to help me with saving him. If it wasn't for them working with me financially I wouldnt be able to afford any of the care needed! Dr Van't Hof is wonderful!!! Thank you and the vet staff for everything!!!" "I recommend everything---they are polite and VERY reasonable and caring! They are open EVERY SAT morning from 7:30 to noon--which is great! Weekdays from 7:30 to twelve and One to five!" "Our cat had an emergency c-section, they not only got her in right away but also explained what they were doing the whole time we were there. I was also very pleased with the kindness of all the staff. It was such a good experience �"